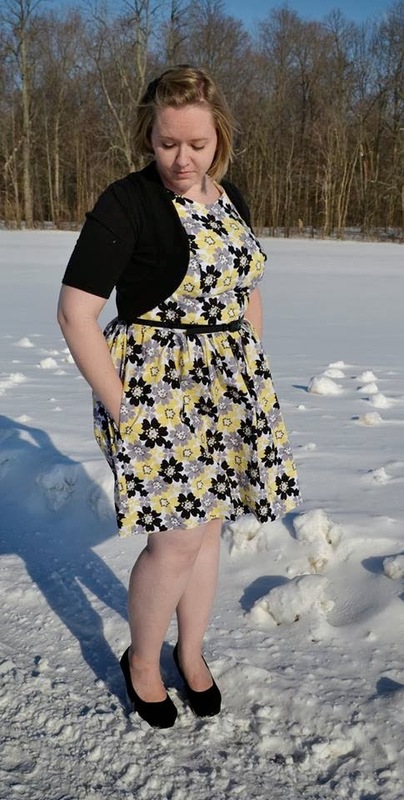 Hayley from Welcome to the Mouse House put out a tester call for her newest women's pattern. It's the adult version of the Caroline Party Dress. 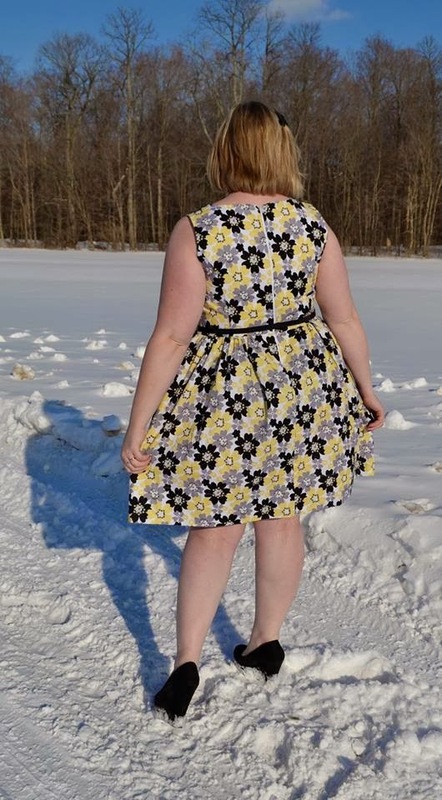 I was excited when I was selected to test because I am new to sewing for myself and I knew that I would never have the courage to try such a fitted dress without the help and encouragement of the other amazing women in the testing group. This dress has so many options. It can be sleeveless, faux cap sleeve, short sleeve, 3/4 sleeve or long sleeve. There are options for belt looks as well as inseam pockets. The skirt portion can be gathered or pleated and there are instructions to make it a peplum top instead. The pattern even gives directions for a FBA or Full Bust Adjustment if your overbust is 2 or more inches smaller than your bust measurement. With mixing and matching these options the styles are so different. You can go here to read all about this awesome pattern and see a roundup of tester photos. I chose to the sleeveless version with FBA, a gathered skirt and inseam pockets. What mom couldn't use pockets? This is also the above the knee option. Have you done any sewing for yourself lately? What are you waiting for?